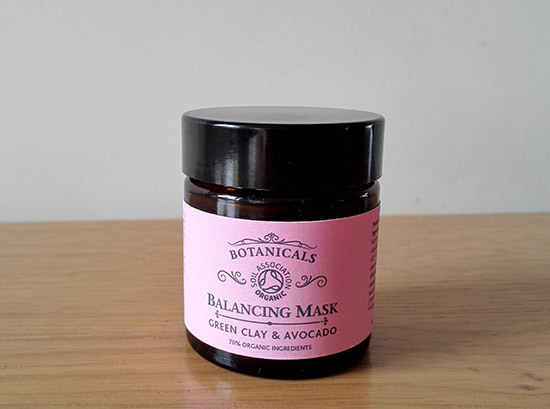 I am still quite new to making my own beauty products at home and to be honest, this is not something that I would regularly do instead of buying these products online or from the high street. But it’s good to know that you can actually make some really simple DIY beauty recipes yourself without the need of a long list of ingredients. In fact, many of the pampering treatments that you can create yourself don’t require more than two or three ingredients. And they are all natural, with no harmful chemicals which is exactly what you want for your skin, right? I remember giving a DIY beauty a try when I was a teenager. I made a simple mask with some raw honey and lemon to improve the state of my skin, and wow, this very simple DIY beauty recipe did wonders for my skin. Since then, I haven’t experimented much using natural ingredients to create homemade beauty concoctions for my skin. But now I am slowly getting back to it. 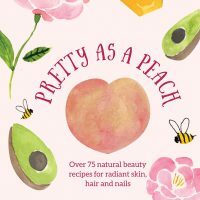 Recently, I was told about a book called Pretty As A Peach (by Janet Hayward & Susie Prichard-Casey, Modern Books) and this book is all about creating your own beauty products at home (available from Amazon). The book contains over 75 natural beauty recipes which will help to improve your skin, hair and nails. I really like that many of these beauty recipes require ingredients which you normally have at home. 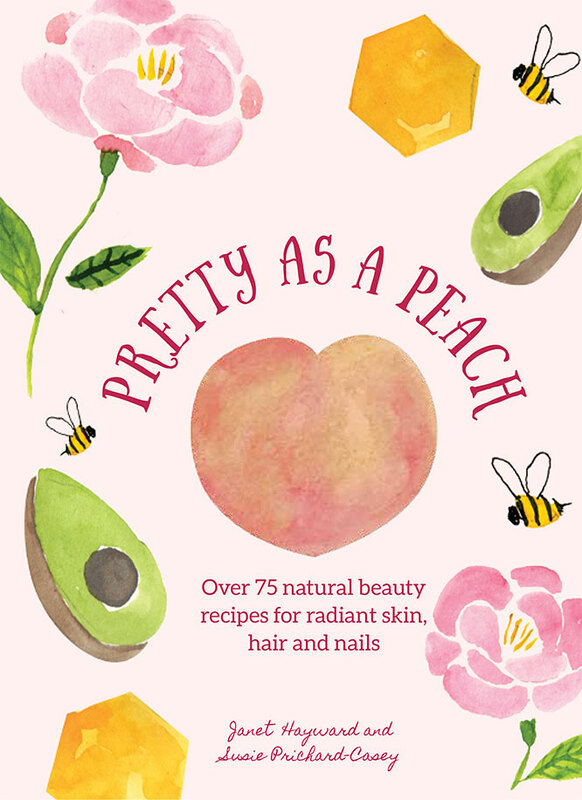 Some of my favourite homemade beauty recipes from the book are: Turmeric, Lemon and Yoghurt Face Mask, Camomille Lightening Hair Treatment, Cucumber Eye Bag Blitz and Honey, Nutmeg and Cinnamon Blemish Control. I cannot wait to try them all! Parsley is naturally antiseptic and helps to improve circulation, plus it is rich in immune-enhancing vitamins C and A, making it the ideal ingredient for oily skin. Roughly chop the parsley into a glass bowl and add the lemon juice. Boil the water and pour over the mixture. Allow to infuse until cool. Pour the mixture through a fine sieve over a glass bottle, then store in the fridge. After cleansing, use a quality cotton ball and swipe a generous amount of the toner all over skin, avoiding the eye area. Use night and morning – and throughout the day during hot summer months. What do you think about this homemade toner for oily skin? Will you give it a go? 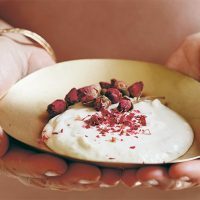 From foot balms to body scrubs, cleansers to hair conditioners, lip tints to blushers, here are simple home-made, eco-friendly recipes often using two or three easy-to-come-by ingredients. Beauty insiders, Janet Hayward and Susie Prichard-Casey share technique hacks, tips on sourcing and storing, and over 75 recipes to show you how you can enjoy a full pampering regime without chemicals. Lemons are used in simple nail whitener to combat the effects of nail varnish, cacao is used as an eyebrow thickener, avocado and caster sugar as a face polish. Janet Hayward has worked at the BBC and then in fashion and beauty for women’s magazines. Originally from the UK, Janet moved to Australia and cofounded Beauty Directory, a members-only beauty and health website that is used daily by media and insiders for the latest industry news. She is the author of Lemons are a Girl’s Best Friend. Susie Prichard-Casey is a natural beauty guru who holds advanced diplomas in Remedial Massage, Reflexology and LaStone Therapy. Susie has worked for Neal’s Yard and has taught at The London College of Massage for 17 years. She is the founder of Stone Soul organic day-spa in Sydney, Australia. Susie lives in Berkshire, England. Do you want to give a homemade skincare a go? You can buy Pretty As A Peach directly from Amazon, available here. Glad I found your blog. Oily skin is my whole life problem.